The richness of a butter sugar cookie with the perfect touch of cinnamon and spice. The cakey, cracked surface and delicious edge of crispiness notes shine through for layers of snickerdoodle cookie enjoyment. Friendly to atomizers, cartomizers and tanks. Like your e-liquids extra sweet? Add a few drops of AltCig Sweetener drops. AltCig is the perfect vendor for cookie monsters like me! 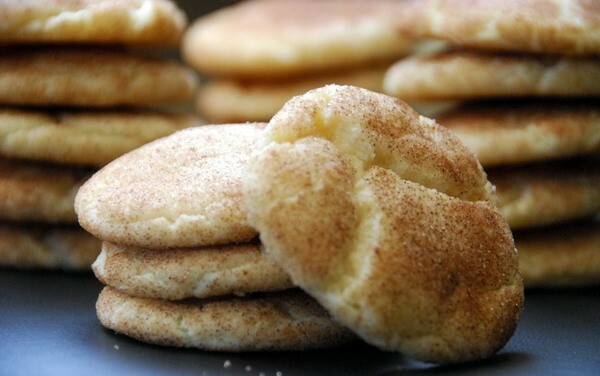 I received a free sample of Snickerdoodle in a recent order and oh, it is wonderful! I like to lighten up the spice a bit by mixing it with Sugar Cookie, and it is just perfect. Nobody does cookies like AltCig does cookies...and they have such a way of making me feel special...which makes it all the sweeter. Thanks AltCig! Oh this one is so so good* I love it..just enough of the sweet and just enough of cinnamon and spice to amke one YUMMY sweet and delicious cookie* Leave it to Altcig to make it perfect..thank you for this one~! An excellent flavor, just like the cookie. Not too strong, not too sweet. Becoming a favorite for sure! Love the people here at AltCig.com! This one, unlike most AltCig juices, needed about a week to be delicious. It was good out of the mailer, but 6 days later it's great! I can't believe I haven't already reviewed this. I've had all the Snickerdoodles out there in Vape Land, and AltCig's blows them away. Just-right perfectly balanced blend of cinnamon spice cookie sweetness; I don't have words for how good it is. As a bonus the people here are genuinely nice and take customer service seriously. Altcig's Snickerdoodle is the best snickerdoole cookie juice I have ever tasted. Pretty incredible and totally satisfying flavor and mouth feel. Easy, smooth and comfortable to vape as well. I don't see how this juice could get any better than it is. If these vape cookies were the real thing, I would be heading for the bathroom scale with a handful of these cookies in my hand, and if the numbers on the scale didn't immediately go up, the cookies would go into my mouth! So nice to know I can enjoy these vape cookies any time and not have to resort to self-deception to justify doing so! Try this! You will love it! Tastes so much like eating a real cookie that I don't even know where to begin. AltCig, you guys never cease to amaze me. This, like the title says, is yet another winner! Great job!